Described as ‘exuberantly stylish’ by the Sunday Times, Julian Perkins enjoys a demanding career as a conductor and keyboard player. He is the Artistic Director of Cambridge Handel Opera and Founder Director of Sounds Baroque. Julian has conducted staged opera productions for organisations including the Buxton International Festival, Cambridge Handel Opera, Dutch National Opera Academy, Grimeborn Festival, Guildhall School of Music & Drama, Kings Place, New Chamber Opera and New Kent Opera, in addition to numerous concert performances. With Sounds Baroque, he has directed performances with singers including Rebecca Evans, Dame Emma Kirkby and Mark Padmore, and has conducted some eighteen Baroque projects with Southbank Sinfonia, in which modern string players experience performing earlier music on gut strings with Baroque bows. Forthcoming conducting projects include John Eccles's Semele with Cambridge Handel Opera and the Academy of Ancient Music (to be recorded on AAM Records), and the world première recording of Stephen Dodgson’s opera Margaret Catchpole for Naxos. Chamber concerts include Julian's return to London's Wigmore Hall, and concerto performances plus a recording with Florilegium. 2019 sees his solo American début in Boston. As a player, Julian has performed concertos with groups including the Orchestra of the Age of Enlightenment, Royal Northern Sinfonia and Orchestra of The Sixteen, and has gained a wealth of experience performing with many leading period instrument ensembles and modern orchestras. 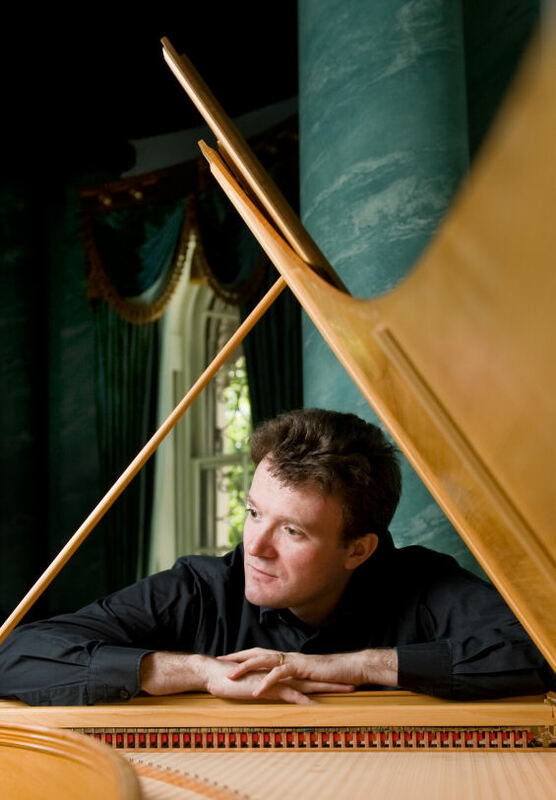 In addition to performing as the solo harpsichordist in productions at the Royal Opera House, Welsh National Opera and Northern Ireland Opera, he has featured on BBC Radio 3's Early Music Show and appeared at venues such as London's Wigmore Hall, New York's Lincoln Center and Sydney Opera House, as well as at the BBC Proms and Edinburgh International Festival. Solo recitals in the UK have included appearances for international festivals at St Albans, Buxton, Canterbury, Deal, Lammermuir, Oundle, Petworth, Ryedale, Swaledale and Two Moors that have included complete performances of J. S. Bach’s two books of Das wohltemperierte Klavier. His acclaimed discography includes opera, solo and chamber recordings for Avie, Chandos, Channel Classics, Coro, Hyperion, Opus Arte and Resonus Classics on a wide range of instruments, including the Royal Harpsichord at Kew Palace. Julian read music at King’s College, Cambridge, before pursuing advanced studies at the Schola Cantorum, Basle and the Royal Academy of Music, London. Research is an essential element in Julian's performing career, and he has written articles that have been published by Cambridge University Press, Oxford University Press and Rhinegold Publishing. This also inspires his work as a visiting coach at the Royal Opera House, and masterclasses that he gives for the National Opera Studio, music colleges and universities both in the UK and abroad.